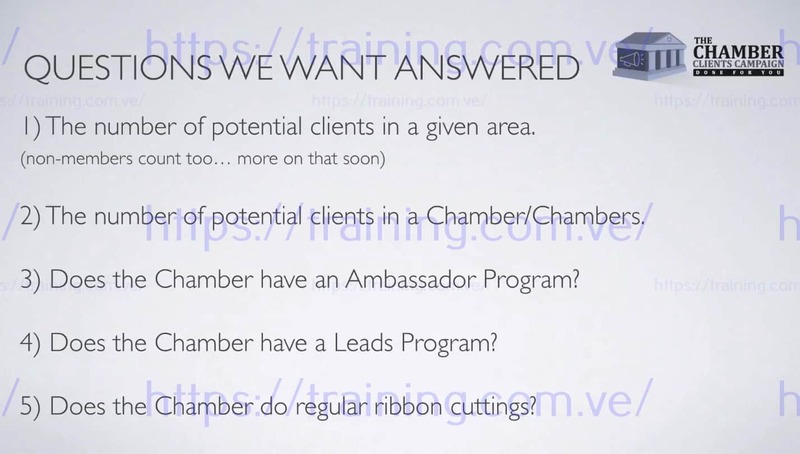 Who is the "Chamber Clients Campaign" a Fit For? If you'd like a way to get in front of more potential clients faster and give them a great reason to buy from you, this is perfect for you. If you're ready to finally understand why I believe Local Chambers are the Digital Marketer's Best Friend when it comes to getting a lot of monthly clients fast (and getting more as time passes), this is a perfect fit for you. 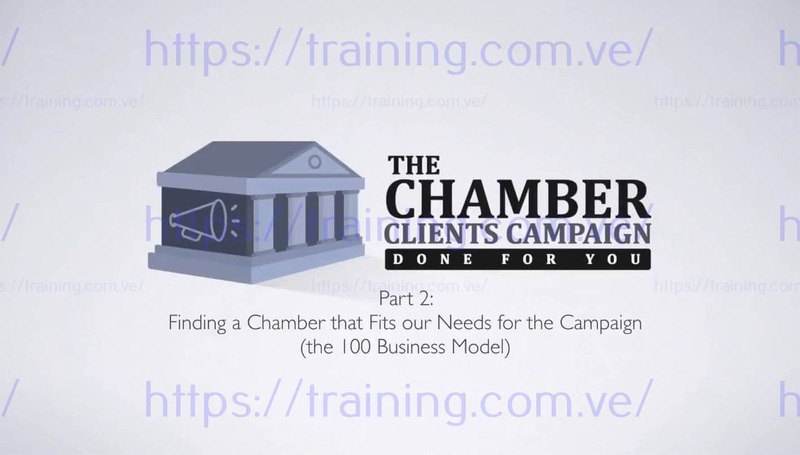 What's Inside my "Chamber Clients Campaign" Program? Get full details on how to run a full Chamber Member Blitz and sign up 20 new clients for your Digital Service Fast. Get full details on how to run a "New Member" Deal that every new Chamber member gets. This gets you new deals for years to come and it works without you having to. Use these to instantly start sending out your special offer to Chamber Members in your niche and get them interested in your offer fast. Modify for your Business and Put Them in front of both New and Existing Members. These are used in both the "Long Play" and "Fast Client" campaigns. Learn Exactly How I walk into a business and use my "Chamber Membership" as Leverage (I couple this with my Donut drops for a double bang). Do This so that the Chamber staff knows exactly how to help you get Clients. Use this simple (but highly effective) method to get the Chamber Staff to Hustle to make Sales for you. Learn Exactly How to go After 100 Businesses this coming Month with this Campaign (from the comfort of home) and sign up 20 of them fast (while sowing the seeds for the rest for future sales). How to Create a "Jaw Dropping Offer" That Drives Consistent Leads into Your Client's Business. How to Hyper Segment Your Client's Audience, So that Your Irresistible Offer is More Attractive. How to Create a "Jaw Dropping Offer" from Scratch in Any Niche. 8 Done-for-You Jaw Dropping Offer Funnels. (Restaurant, Hair Salon, Gym, Home Services, Dentist, Chiropractor, Plastic Surgeon, Real Estate). Ad Creatives for all 8 Funnels. Facebook Ad Targeting for all 8 Funnels. Full Access to all the Pages of all 8 Jaw Dropping Offer Funnels. Instantly Import all 8 Funnels into Your ClickFunnels Account So You Can Start Using Them Instantly.